Heatworks provides portable heat, any time, anywhere. 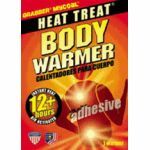 Perfect for use by athletes, outdoor enthusiasts, sportsmen, spectators, skiers, construction workers - anyone who hates the cold! 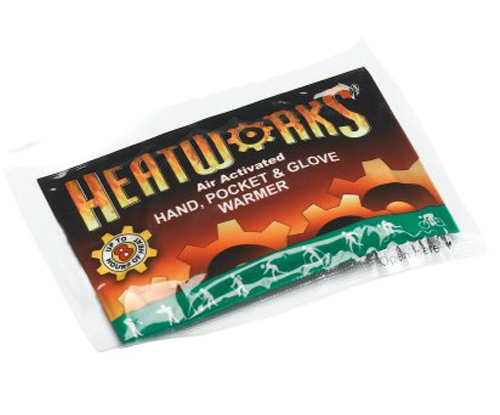 Simply open the plastic outer pouch when you are ready to activate a Heatworks hand warmer. 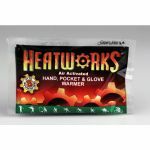 Place the Heatworks hand warmers in pockets, sleeping bags, boots, gloves, etc. 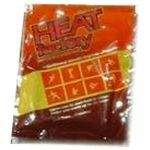 For optimum comfort and safety, be certain to follow usage direction on each pack. 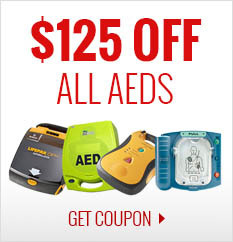 Enjoy eight hours of warmth. Packed 1 pair per pack, 40 packs per box, 6 boxes per case.